"Anita was great for us. She was recommended by a relative who used her to find a wonderful home in South Bend. Anita was always responsive to our needs, and went above and beyond the call of duty to ensure we got the house we were looking for at a price we could afford. She and her co-worker Mark were also able to arrange for most of our documents (offers, counter-offers, etc) to be signed electronically, which was essential given that we were based far away and wanted to close the sale reasonably quickly. Highly recommended!" 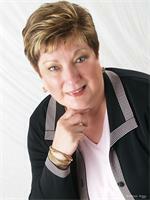 "Anita was the listing agent when we purchased our home in Granger 11 yrs. ago. We truly loved our home in Granger but felt the necessity to relocate to a smaller space. As our realtor had retired and moved from the area, we decided to contact Anita as we hoped she would remember the property and recognize the improvements we had made. We sent an e-mail message to Anita asking if she'd be interested in working with us and received a prompt affirmative response so met with her on May 24, signed the listing documents, and the "for sale" sign went up. Beautiful pictures of our home appeared on the web and an offer came through on June 1. We closed on the sale on June 29. We couldn't have received better service! Thank you, Anita!" "Anita did a fabulous job for us! We were under pressure to sell because my husband had just been transferred and we wanted to get the kids in new school before end of summer. Anita came right in, explained how the process worked and quickly put our house on the market. It sold in just under two months. She was very good with pricing and staging our home. She handled negotiations with buyer's realtor with care and skill. We would not have been able to move so quickly if it wasn't for Anita's diligence, excellent interpersonal skills and knowledge of local market. She really knows the Michiana market like the back of her hand! Thanks so much Anita for all you have done for me and my family!"